Following is the full text of Beijing Declaration, adopted by the First South-South Human Rights Forum, which concluded Friday. The opening ceremony of the South-South Human Rights Forum was held in Beijing, capital of China, on Dec. 7. Guo Weimin chaired and spoke at a symposium on the guiding principles of the 19th CPC National Congress at the Fortune Global Forum, which opened in Guangzhou, Guangdong Province, on Dec. 6. Jiang Jianguo read President Xi Jinping's congratulatory letter to the Fortune Global Forum, which opened in Guangzhou, Guangdong Province on Dec. 6. 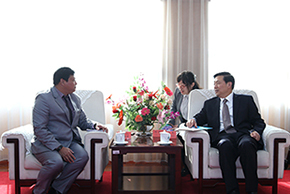 Jiang Jianguo met with a Myanmar delegation headed by Pe Myint, minister of the Information Ministry of Myanmar, in Guangzhou on Dec. 5. Jiang Jianguo met with Yutaka Asahina, president of Japan's Mainichi Newspapers, in Beijing on Dec.4, 2017. Co-hosted by the Chinese State Council Information Office and Ministry of Foreign Affairs, the first South-South Human Rights Forum will be held December 7-8 in Beijing. Cui Yuying met with a U.S. delegation headed by Declan Moore, CEO of National Geographic Partners, in Beijing on Dec. 1. 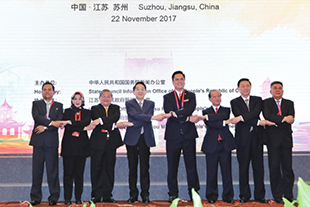 ​Guo Weimin addressed the opening ceremony of the Forum on Language Services for the Belt and Road Initiative and Translators Association of China Conference 2017 on Dec. 1, in Beijing. Guo Weimin met with a Japanese delegation headed by Takashi Sasaki, managing director of Japan's Tokyo Broadcasting System (TBS) Television, in Beijing on Nov. 24. Guo Weimin, vice minister of the State Council Information Office of China (SCIO) met with an Iranian delegation headed by Mohammad Jafar Safi, director general of the Foreign Media Department of Iran's Ministry of Culture and Islamic Guidance, in Beijing on Nov. 15. China and ASEAN member states proposed an initiative to enhance media cooperation for a closer community of shared future at a meeting of information officials on Wednesday. On Nov. 21, a seminar on the study and implementation of the spirit of the 19th National Congress of the Communist Party of China (CPC) was convened at Nanjing University. 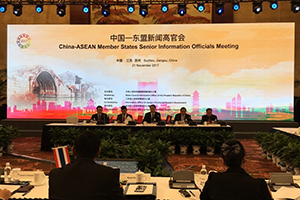 Senior information officials from China and ASEAN's six member states gathered in Suzhou of east China's Jiangsu Province on Tuesday for boosting practical media cooperation. Chinese media should report both the country's achievements and its deficiencies, and face up to hotspot issues in the new era, according to a Chinese official. Jiang Jianguo, deputy head of the Publicity Department of the CPC Central Committee, called for government departments of all levels to learn and implement the spirit of the 19th CPC National Congress. Former government leaders and experts spoke at an international symposium on the global implication of China's new development stage. Guo Weimin attended the opening ceremony of a Confucius-themed cultural exhibition co-organized by the State Council Information Office of China and the Chinese Embassy in Vietnam on Nov. 7, in Vietnam. 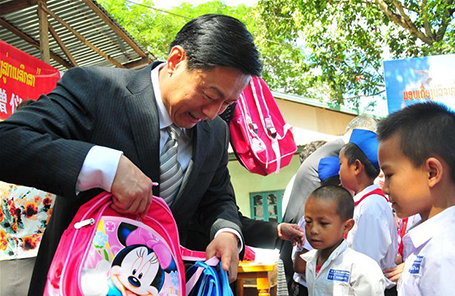 A charity event was launched in Vientiane on Friday with the supports of the State Council Information Office, the Chinese embassy and Lao Ministry of Education and Sports. The Lao language version of a book on Lancang-Mekong cooperation "Sharing the River" was officially launched in Vientiane on Friday. 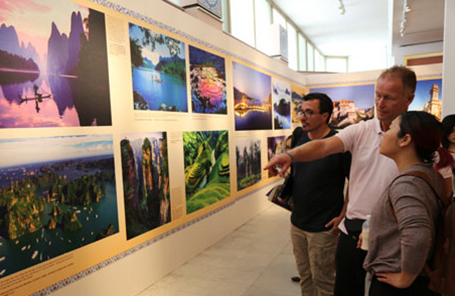 A photo exhibition that showcases the beauty of China and Vietnam opened at Ho Chi Minh Museum in Hanoi on Monday as part of endeavors to strengthen the traditional friendship. Guo Weimin, vice minister of China's State Council Information Office, attended the China-Vietnam Scholars Forum in Hanoi on Wednesday. Guo Wemin, vice minister of the State Council Information Office of China, addressed the publishing ceremony of the "China-ASEAN Report: 2017 APEC Vietnam Special Issue" on Nov. 5, in Da Nang, Vietnam. Guo Wemin, vice minister of the State Council Information Office of China, met with a delegation headed by U Myo Myint Maung, permanent secretary of Myanmar's Ministry of Information, in Beijing on Nov. 2. 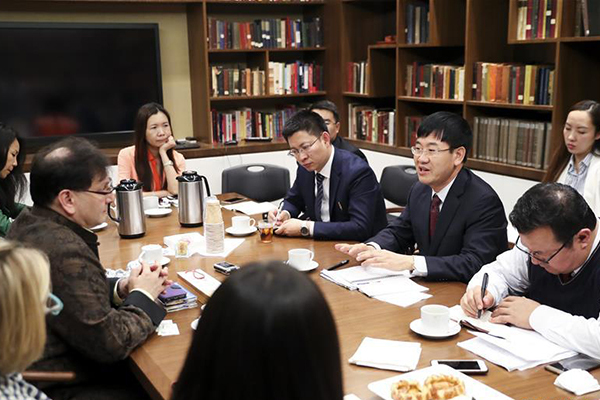 A delegation from Xinjiang visited New York on Saturday and promoted mutual understanding and communication in discussions with overseas Chinese communities' leaders, local cultural organizations and local think tank scholars. 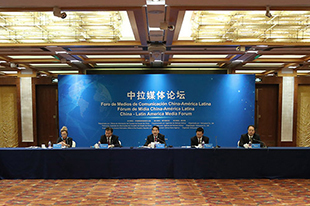 Jiang Jianguo has called for strengthened media cooperation and exchanges between China and Latin America at the China-Latin America Media Forum. A delegation from China's Xinjiang Autonomous Region concluded its two-day visit to Houston, Texas of the United States on Friday, with the aim of enhancing mutual understanding. 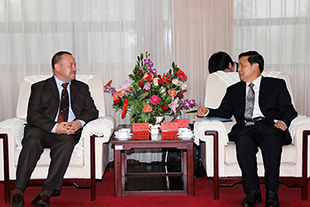 Guo Weimin, vice minister of the State Council Information Office of China, met with a media delegation from Serbia on Oct. 18. Cultural cooperation among countries along the Belt and Road will increase friendship, enhance mutual understanding and trust, and lay a solid foundation for economic development, said Cui Yuying. 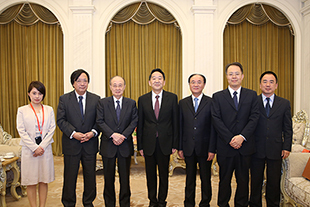 Jiang Jianguo met with a delegation headed by Yasushi Akashi, chairman of the Japanese Executive Committee of the Beijing-Tokyo Forum, on Sept. 19 in Beijing.